The following appears to be taken primarily from the Kabala. To my knowledge there are two Kaballas. One is an esoteric cosmological book of magic that had been orally transmitted following the Babylonian captivity of the Jews until the early Middle Ages when it was first committed to written forms. The other Kabala is called the Book of Abraham, which has long been lost to greater posterity. This is said to have been transmitted orally from the time of Adam, and was largely attributed to the prophet Seth. In the beginning of man’s time on earth, he was a simple creature. with His Great Forces dwells in Heaven. These five phases form a schema of the Tree of Life. Note: This is analogous to a description of the fourth dimension. Imagine an acorn then envision an oak tree. All in an instantaneous thought you could see in your mind the three dimensions of the acorn’s change into an oak tree with the added dimension of time included. Thus you were looking at all sides of the object at once. Torah [Heb. towrah, to-raw’, or torah, from Heb. 3384, a precept or statute, espec. the Decalogue or Pentateuch, law, direction, instruction] the entire body of religious law and learning including both sacred literature and oral tradition. A scroll of parchment containing the first five books of the Hebrew Scriptures, used in a synagogue during services. This symbol of the five-pointed Star and the corresponding number five have been consonant symbols for Man for as long as there has been written record, dating back to the earliest centuries with the Hindu Vedas. Isn’t it interesting how this symbol has somehow devolved into an icon of evil, attributed to Satanic works? It might then appear that God’s bestowal of the gift of Divine Breath unto Man ultimately led to the plucking of the forbidden fruit from the Tree of the Knowledge of Good and Evil, an act which caused the Creator God Elohim (literally Gods – plural) to forget themselves in their displeasure and give away the Secret: “Behold, the man has become as one of us…” before indignantly ejecting Adam and Eve from the Garden of Eden into our harsh world of toil and trouble. This parable is, of course, a not too subtle metaphor for humankind’s collective Initiation unto his Divine Inheritance through the ordeals of Experience – physical incarnation. The Fall of Man describes how we have, quite necessarily, forgotten our intrinsic link with Spirit. In esoteric lore, the cosmic memory of Akasha is often referred to as the Akashic Records, which we all have access to right now, as we live and breathe; we need only to find a way to Remember to regain our Divine inheritance. In essence, all religious Traditions, including the Qabalah, are simply templates or maps designed to teach and lead us to the Remembrance of the long-forgotten Mystery Language of the Ancients, and thus reclaim our connection with Akasha, Spirit, and Silent Knowledge. In fact, the root of the term religion is the Latin word religio – to reconnect. J and E, the two earliest documents, written about 1,000 B.C. to 900 B.C. J uses the divine name Jehovah, or Yahweh, for God and E uses the name Elohim to refer to God. D, or Deuteronomy, a scroll found in Jerusalem in 621 B.C during the reform of Josiah. H, or Holiness Code, a short collection of laws. According to Saint Tulsidas, Sri Hanuman is bestowed with golden colour, beautiful curly hair, wears a sacred thread made of sacred grass, and shining earrings. He is very learned, adept in all scriptures including astrology and the Vedas, extremely intelligent, virtuous, and a great lover of music. Since He has a body as strong as the thunderbolt, He is also called Bajrangbali. Bajrang means thunderbolt. According to Hanumath Prakaranam in Sri Vidyarnavatantram, Anjaneya has five faces (Pancha Mukha) and ten weapons. The five faces are that of Lord Hanuman, Lord Narasimha, Lord Adivaraha, Lord Hayagriva, and Lord Garuda. There is a belief that one of the faces is that of Sri Vinayaka. The idol of Adyanta Maha Prabhu depicts a figure of half Anjaneya and half Vinayaka. He is a great yogi (mystic) having transcended the five senses (Pancha Indriyas). Sundara Kandam, which highlights the heroic exploits of Lord Hanuman at Lanka is the fifth canto in the Ramayana. Therefore, it is considered auspicious to go around His idol 5 times, 14 times, 23 times, 32 times or with such numbers the digits of which add to five. Each row equals 65 in every direction and represents the planet Mars. It follows the traditional Babylonian arrangement of the heavenly spheres. The closer one comes to the earth the larger the square becomes. These magic squares represent archetypal patterns of energy and are mathematical reflections of the underlying natural order. Magic squares brilliantly reveal the intrinsic harmony and symmetry of numbers with their curious and mystic charm they appear to betray some hidden intelligence that governs the cosmic order that dominates all existence. The numbers of planetary squares have been used in formulating the names of planetary spirits and intelligences, in constructing planetary talismans, in determining the emasurements of temples, and so on. To those initiated into the mysteries of the old cosmologies, the divinities or archtypes of nature were recognized as autonomous patterns of energy which leave their imprint on many levels of human experience. 5 – 25- 52- 65 – 208 – 325.
upon the bottom of the sky. “1. To treat of the creation of matter in general. “2. To treat of the creation or production of secondary material and spiritual beings. “3. To give a chronological abridgment of the great periods of time. “4. To give a genealogical abridgment of the principal families that reigned over the country. 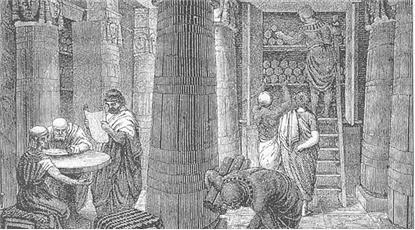 It is pretty certain that whoever wrote the Pentateuch had this plan before him, as well as those who wrote the New Testament had become thoroughly well acquainted with Buddhistic ritualistic worship, legends and doctrines, through the Buddhist missionaries who were many in those days in Palestine and Greece. Kali Yantra. The encompassing circle is avidya (ignorance);the eight petalled lotus is the eight-fold Prkriti consisting of earth, wter, fire, air, ether, manas (mind), buddhi (intellect) and ahamkara (egoism); the five triangles are the five jnanendriyas (jnana, knowledge; indriyas, senses), the five karmendriyas (motor organs) and the five pranas (breathing activities); and the bindu which is pure consciousness reflected in maya in the bija. A yantra, which means ‘aid’ or ‘tool’, is generally drawn on paper or engraved on metal, either to aid meditation or as a tangible image of the deity. Just as a mantra is a sound equivalent, the yantra is a diagrammatic equivalent of the deity and consists of linear and spatial geometrical permutations of the deity. The primal abstract shapes, such as the point, line, circle, triangle, square, are harmonized in composition to provide a formal equilibrium which is both static and dynamic. A common feature of the yantra is that it possesses an element of centrality around which the whole figure is built up. The centre as point of origin and balance evolkes the idea of emanation and radiation. Enveloped in vertical and horizontal extensions it conveys a sense of formal mathematical order and regularity. Thus, yantra represents an energy pattern whose force increases in proportion to the abstraction and precision of the diagram. Kriya Dhyana Yoga consists of a series of meditation techniques to master the unruly mind. It includes the five senses and their subtle counterparts, such as clairvoyance, clairaudience, and clairsentience. It cleanses the subconscious mind. Kriya Mantra Yoga. The mantras have been discovered by the Siddhas during profound states of meditation. 1. Matsya-Avatar: as a fish. It will also be his tenth and last avatar, at the end of the Kali-yug. 2. Kurm-Avatar: as a tortoise. 4. Nara-Sing: as a man-lion; last animal stage. 5. Vamuna: as a dwarf; first step toward the human form. 8. Christna-Avatar: the Son of the Virgin Devanaguy (or Devaki) one formed by God, or rather by the manifested Deity Vishnu, who is identical with Adam Kadmon. *** Christna is also called Kaneya, the Son of the Virgin. 10. This avatar has not yet occurred. It is expected in the future, like the Christian Advent, the idea of which was undoubtedly copied from the Hindu. When Vishnu appears for the last time he will come as a “Saviour.” According to the opinion of some Brahmans he will appear himself under the form of the horse Kalki. Others maintain that he will be mounting it. This horse is the envelope of the spirit of evil, and Vishnu will mount it, invisible to all, till he has conquered it for the last time. The “Kalki-Avataram,” or the last incarnation, divides Brahmanism into two sects. That of the Vaihnava refuses to recognize the incarnations of their god Vishnu in animal forms literally. They claim that these must be understood as allegorical. In this diagram of avatars we see traced the gradual evolution and transformation of all species out of the ante-Silurian mud of Darwin and the ilus of Sanchoniathon and Berosus. Beginning with the Azoic time, corresponding to the ilus in which Brahma implants the creative germ, we pass through the Palaeozoic and Mesozoic times, covered by the first and second incarnations as the fish and tortoise; and the Cenozoic, which is embraced by the incarnations in the animal and semi-human forms of the boar and man-lion; and we come to the fifth and crowning geological period, designated as the “era of mind, or age of man,” whose symbol in the Hindu mythology is the dwarf — the first attempt of nature at the creation of man. In this diagram we should follow the main idea, not judge the degree of knowledge of the ancient philosophers by the literal acceptance of the popular form in which it is presented to us in the grand epical poem of Maha-Bharata and its chapter the Bagaved-gitta. Even the four ages of the Hindu chronology contain a far more philosophical idea than appears on the surface. It defines them according to both the psychological or mental and the physical states of man during their period. Crita-yug, the golden age, the “age of joy,” or spiritual innocence of man; Treta-yug, the age of silver, or that of fire — the period of supremacy of man and of giants and of the sons of God; Dwapara-yug, the age of bronze — a mixture already of purity and impurity (spirit and matter) the age of doubt; and at last our own, the Kali-yug, or age of iron, of darkness, misery, and sorrow. In this age, Vishnu had to incarnate himself in Christna, in order to save humanity from the goddess Kali, consort of Siva, the all-annihilating — the goddess of death, destruction, and human misery. Kali is the best emblem to represent the “fall of man”; the falling of spirit into the degradation of matter, with all its terrific results. We have to rid ourselves of Kali before we can ever reach “Moksha,” or Nirvana, the abode of blessed Peace and Spirit. With the Buddhists the last incarnation is the fifth. When Maitree-Buddha comes, then our present world will be destroyed; and a new and a better one will replace it. The four arms of every Hindu Deity are the emblems of the four preceding manifestations of our earth from its invisible state, while its head typifies the fifth and last Kalki-Avatar, when this would be destroyed, and the power of Budh — Wisdom (with the Hindus, of Brahma), will be again called into requisition to manifest itself — as a Logos — to create the future world. The male gods typify Spirit in its deific attributes while their female counterparts — the Sakti, represent the active energies of these attributes. The Durga (active virtue), is a subtile, invisible force, which answers to Shekinah — the garment of En-Soph. She is the Sakti through which the passive “Eternal” calls forth the visible universe from its first ideal conception. Every one of the three personages of the exoteric Trimurti are shown as using their Sakti as a Vehan (vehicle). Each of them is for the time being the form which sits upon the mysterious wagon of Ezekiel. The five-pointed star is the signet of Vishnu, in India. It is well known, that the earliest Christian emblems — before it was ever attempted to represent the bodily appearance of Jesus — were the Lamb, the Good Shepherd, and the Fish. The origin of the latter emblem, which has so puzzled the archaeologists, thus becomes comprehensible. The whole secret lies in the easily-ascertained fact that, while in the Kabala, the King Messiah is called “Interpreter,” or Revealer of the mystery, and shown to be the fifth emanation, in the Talmud — for reasons we will now explain — the Messiah is very often designated as “DAG,” or the Fish. This is an inheritance from the Chaldees, and relates — as the very name indicates — to the Babylonian Dagon, the man-fish, who was the instructor and interpreter of the people, to whom he appeared. Abarbanel explains the name, by stating that the sign of his (Messiah’s) coming “is the conjunction of Saturn and Jupiter in the sign Pisces.”* Therefore, as the Christians were intent upon identifying their Christos with the Messiah of the Old Testament, they adopted it so readily as to forget that its true origin might be traced still farther back than the Babylonian Dagon. How eagerly and closely the ideal of Jesus was united, by the early Christians, with every imaginable kabalistic and Pagan tenet, may be inferred from the language of Clemens, of Alexandria, addressed to his brother co-religionists. When they were debating upon the choice of the most appropriate symbol to remind them of Jesus, Clemens advised them in the following words: “Let the engraving upon the gem of your ring be either a dove, or a ship running before the wind (the Argha), or a fish.” Was the good father, when writing this sentence, laboring under the recollection of Joshua, son of Nun (called Jesus in the Greek and Slavonian versions); or had he forgotten the real interpretation of these Pagan symbols? * King (“Gnostics”) gives the figure of a Christian symbol, very common during the middle ages, of three fishes interlaced into a triangle, and having the FIVE letters (a most sacred Pythagorean number) [[I. CH. THUS.]] engraved on it. The number five relates to the same kabalistic computation. Joshua, son of Nun, or Nave (Navis), could have with perfect propriety adopted the image of a ship, or even of a fish, for Joshua means Jesus, son of the fish-god; but it was really too hazardous to connect the emblems of Venus, Astarte, and all the Hindu goddesses — the argha, dove, and fish — with the “immaculate” birth of their god! This looks very much as if in the early days of Christianity but little difference was made between Christ, Bacchus, Apollo, and the Hindu Christna, the incarnation of Vishnu, with whose first avatar this symbol of the fish originated. In the Hari-purana, in the Bagaved-gitta, as well as in several other books, the god Vishnu is shown as having assumed the form of a fish with a human head, in order to reclaim the Vedas lost during the deluge. Having enabled Visvamitra to escape with all his tribe in the ark, Vishnu, pitying weak and ignorant humanity, remained with them for some time. It was this god who taught them to build houses, cultivate the land, and to thank the unknown Deity whom he represented, by building temples and instituting a regular worship; and, as he remained half-fish, half-man, all the time, at every sunset he used to return to the ocean, wherein he passed the night. “It is he,” says the sacred book, “who taught men, after the diluvium, all that was necessary for their happiness. “One day he plunged into the water and returned no more, for the earth had covered itself again with vegetation, fruit, and cattle. “But he had taught the Brahmas the secret of all things” (Hari-purana). REPRESENTING THE CHAOTIC AND THE FORMATIVE PERIODS, BEFORE AND AFTER OUR UNIVERSE BEGAN TO BE EVOLVED. FROM THE ESOTERIC BRAHMANICAL, BUDDHISTIC, AND CHALDEAN STANDPOINTS, WHICH AGREE IN EVERY RESPECT WITH THE EVOLUTIONARY THEORY OF MODERN SCIENCE. Scroll down to page 266. Here the signs of animal life appeared in the waters and in the air. Moving creatures were all animals with fins and feather, with rapid increase. Fowl means every flying thing; the word rendered “whales,” includes also sharks and crocodiles; small fish to great sea monsters; insects to the king of birds. Revelation 9:1 And the fifth angel sounded, and I saw a star fall from heaven unto the earth: and to him was given the key of the bottomless pit. 9:2 And he opened the bottomless pit; and there arose a smoke out of the pit, as the smoke of a great furnace; and the sun and the air were darkened by reason of the smoke of the pit. 9:3 And there came out of the smoke locusts upon the earth: and unto them was given power, as the scorpions of the earth have power. 9:4 And it was commanded them that they should not hurt the grass of the earth, neither any green thing, neither any tree; but only those men which have not the seal of God in their foreheads. 9:5 And to them it was given that they should not kill them, but that they should be tormented five months: and their torment was as the torment of a scorpion, when he striketh a man. 9:6 And in those days shall men seek death, and shall not find it; and shall desire to die, and death shall flee from them. 9:7 And the shapes of the locusts were like unto horses prepared unto battle; and on their heads were as it were crowns like gold, and their faces were as the faces of men. 9:8 And they had hair as the hair of women, and their teeth were as the teeth of lions. 9:9 And they had breastplates, as it were breastplates of iron; and the sound of their wings was as the sound of chariots of many horses running to battle. 9:10 And they had tails like unto scorpions, and there were stings in their tails: and their power was to hurt men five months. 9:11 And they had a king over them, which is the angel of the bottomless pit, whose name in the Hebrew tongue is Abaddon, but in the Greek tongue hath his name Apollyon (This is another name for Satan and possibly his posterity). 1) Cancer — Capricorn 8850 B.C. 2) Gemini — Sagittarius 6690 B.C. 3) Taurus — Scorpius 4530 B.C. 4) Aries — Libra 2370 B.C. 5) Pisces — Virgo 210 B.C. 1) Caused Adam and Eve to Fall. 2) After the Flood Noah descendants faltered at the Tower of Babel. 3) Nimrod tried to destroy Abram and his posterity. 4) Pharaoh tried to destroy all the “Children” of the Hebrew in order that the line leading to the Messiah might be cut off. Athaliah destroyed all the royal seed of Israel, but the king’s son was rescued. In the book of Ester, Haman tried to destroy all of the Jews, and yet he was put to rout by Ester and they were saved. Haman was an OT Persian minister hanged for plotting the destruction of Jews. 5) At Bethlehem, Herod killed all of the babies under two years of age in an attempt to destroy the Christ child. In the book, Temple of the stars page 52-53 by Brinsley Le Poer Trench , The sign Maker (Capricorn) is of a double nature: the pentagon or the five pointed star, has its point turned upward or downward (an image of a star). The word Makara, connected with the number 5, is related to the Four Kumaras, who are 5, one being secret; to the 5 crocodiles in the celestial Nile to the 5th hierarchy, and also to the 5th class of demons whom Satan (Saturn as Pan), leader of the opposition in Hell, is the head. The word Makara contains also Kama and Mara, and Saturn is related to those two Gods. The ability to unite the elements is found in the fifth dimension of energy — the quintessence. The cycle of matter is transcended when the fifth awareness emerges from it. Consciousness transcends the opposing four forces, and the higher-life begins. The ancients saw a link of God to man in the number five. Geometrically it is a pentagon. In three dimensions it is a pyramid, like the Great Pyramids in Egypt. A pentagram, or five pointed star, is commonly used in magic and ritual. It symbolizes the ability of the will to control the elements. In that sense it represents the power of the lower-self — the human will. The pentagram contains the Golden Ratio — the number known as Phi, approximately 1.618. The Greeks saw this ratio as the perfect proportion. (It could be described as a ratio of two parts such that the ratio of the larger part to the smaller, is the same as the large part to the whole.) The number Phi appears frequently in nature. It is created by self-replicating growth patterns — Fibonacci series. Fibonacci growth occurs as each successive addition in the series is added to existing growth. The result is a growing, branching, tree that converges on an overall growth rate. That growth ratio is the number Phi, and it is reflected in the sides of a pentagram. Initiates of the fifth dimension of awareness are swept into the blazing reality of divine light. After the initial shock wears off, the seeker realizes that a new life has actually begun. This is the realization of the light body. It is cosmic consciousness. The fifth dimension holds the sum of all physical awareness — it is the memory of being everything. The seeker may feel that there is no deeper truth. All meaning will seem to be within the grasp of this awareness. In this dimension, all come face to face with the God of all feeling. Yet, with the divine power of transcendence, the soul’s journey is hardly completed — God as power must be superceded by God as love. Knowledge and vision are power, but so is love. Releasing the light of awareness moves the seeker into the next realm. The light teachers will generally guide the seeker no further. Only a focused desire for truth will propel the soul beyond this swirling circle of brilliant energy. A seeker looking to identify with the mental conception of God will progress no further than this powerful light. Cepheus, The King [Latin Cepheus, from Greek Kepheus], appears on the Meridian on October 15. Cepheus has been known for thousands of years. Its shape is a large pentagram, rather like a child’s drawing of a house with a steep roof. The constellation is westward of Cassiopeia W or M shape. The five main stars of the pentagram are in the southwestern part of the constellation’s official boundaries. It is rich in clusters and nebulae since the Milky Way passes through Cepheus. Others call Cepheus, The Crowned King, depicting a picture of a bearded man who wears a crown, seated upon a throne. In his uplifted hand he holds a sceptre and with his right hand he holds a portion of his robe. His right foot is placed firmly upon the Pole-star, the central point in all of the galaxies and all of the heavens. A picture of Christ enthroned, no longer the slain Lamb but the Great Redeemer. It is noted that of Virgo, The Virgin, has in one hand the Seed and in the other a Branch. The Branch is a name given to Christ who is the righteous Branch who was to come, as the offspring of David. Thus here the Branch has been enthroned as the King. King [Heb. melek, meh’-lek, or melekh, from Heb. malak, maw-lak’, to reign, thus a king, royal, possessor, Gr. basileus, obscure origin]. Psalm 2 contrasts the messianic king (2:6) with the kings of the earth (2:2, 10). Psalm 24:8 acclaims the Lord as King of glory. The messianic king enters Jerusalem riding on a colt (Zech. 9:9). Nebuchadnezzar praises the king of heaven (Dan. 4:37). e Cephei (no name) marks one vertex of a small triangle at the bottom left side of the house. h Cephei (no name) is just west of Alderamin. J Cephei (no name) is just northwest of Eta Cephei. i Cephei (no name) marks the easternmost vertex of the pentagram of Cepheus. m Garnet Star which is called this because of its deep red color. It is one of the most intensely colored stars known, it is a variable M2. x Cephei (no name) lies in the middle of the pentagram and is a double star. In Rev. 17, the kings of the earth fornicate with the harlot who is seated upon many waters, which are peoples and multitudes and nations and tongues. Note the “waters” again, as related to the flood/Noah type symbolism. The kings become drunk on the wine of the harlot, which evokes the emotion of fury. They collectively give over their “royal power” to the beast, until the words of God are fulfilled. God has put it into their hearts to carry out his purpose (Rev. 17:17). This giving over of the kings’ royal power is the “bounty” in your dream, I think. The “beast” is karma of judgment, the eighth that belongs to the seven (chakras). See Rev. 17:11. The harlot is related to “ten horns,” which I believe is related to the third chakra, which is symbolized by a ten-petal lotus flower with a five-pointed star inside. The harlot is related to Kali, the goddess of death destruction creation in east Indian religions. The cycle of time in the lower three chakra levels is often shown as being in or under the water, or under the ground. This, I believe, is related to the unconscious mind. In other words, this refers to things below the “surface level” of consciousness. In your dream, then, the treasure of being king and having royal power, is pushed down into the unconscious. When you consider a system that works with fives and a “controlling unknown” that is now controlling humanity, we must also consider the “unknown superiors” of Illuminism. As discerning Christians, we know and understand who the controlling unknown is, and we also know that he has no control over us, as we are the purchased possession of our Lord and Saviour, Jesus Christ. Thus, we will fight this spiritual battle and expose the enemy every step of the way in an attempt to wake up a sleeping remnant, drugged by religious denominations. Five is the symbol of human microcosm. The number of the human being. Human forms—the pentagon when arms and legs are out stretched. The pentagon is endless —sharing the symbolism of perfection and power of the circle. Five is a circular number as it produces itself in its last digit when raised to its own power. The pentacle, like the circle symbolizes whole, the quincunx being the number of its center and the meeting point of heaven, earth, and the four cardinal points plus the center point. Five is also representative of the Godhead—Central Creator of the four fours plus itself equalling five. Five is the marriage of the hieros gamos as combination of feminine and the masculine. Feminine being even, as 2, in frequency and masculine being odd as 3 in frequency = 5. The number five symbolizes meditation; religion; versatility. It represents the five senses (taste, touch, smell, sight, hearing) everywhere except in the East. In the East there are six—the extra being Mind. We find meanings to five in the five petaled flower, five pointed leaves–especially the ROSE. The Rose has much symbolism, but also the lily, vine, all of which represent the microcosm. The five pointed star depicts individuality and spiritual aspiration, and education when it points upward. The five pointed star pointing downward represents witchcraft, and it is used in black magic. Noted: There is a very broad difference between witchcraft and black magic. The number five consists of two unequal parts, 2 and 3. The diversity brings evil and misfortune. The five symbolizes the individual (one who defies the natural order and is punished), the five fingers on the hand, the pentagram. Pentagram (derived from the pentagon) was in ancient times a symbol for health and salvation, and in the Middle Ages used as a symbol to repulse evil spirits. As a geometric form it has a multitude of different meanings. Its special relationship to the golden section represented the possibility of infinite divisions in both directions, making it more mystical. 10-15-90 – EXPERIENCE – Five times during the night, I was told I was going to be initiated into special mastership. The doorbell rang also. I didn’t let them in for fear that they might not be who they said they were. 10-6-97 – DREAM – I was somewhere and went behind my 1st husband. I removed his work chits from his left rear pants pocket and moved them to his right rear pant’s pocket. They were round. There were three of them. Each one had a number – 2398, 2598, and 2798. They were copper colored. (The word chit is Sanskrit for “consciousness). #2 – DREAM – I was in another place where I was managing an apartment building. I was in the process of renting an apartment and started to see water coming out of the wall behind the people. We left the room and went to my own apartment. I had five keys and chose one specific long rounded one to open the door. Inside my apartment stood a black woman and her Jewish attorney. I demanded to know how they got in there and they just asked me questions instead of answering me. They wanted to know what was in the black bag another man had left with me. I opened the bag and found $2400 paperclipped together. My old painter Bob came and said he was retiring. I saw a newspaper with lists of people’s names and was told that old men spend the rest of their lives comforting other old people and that is what he planned to do. 10-31-97 – DREAM – These were gnostic dreams like puzzles. EAch one was a puzzle in itself, but then I had to layer five of them one atop another to get the bigger picture. 3-9-98 – DREAM – I was with my husband on Wisconsin Ave. and we were ready to leave for California. My oldest son Michael wasn’t ready yet so I told my husband that if Michael didn’t go, I would have to stay behind with him. I then set about packing my car in a garage for the duration. The problem was I had five doves that went ahead of my car with me and if they got excited they would get up on their tippy-toes and stretch out their necks going MEEP MEEP! So, we had to carefully corral them in the garage with my car with not only regular doors but with wire cage doors as well. I finally drove out of the garage in a safer car then and I drove to my school on an open mini steam roller. My husband said he was happy I had changed vehicles because I wouldn’t blow away in the wind on the new vehicle. 12-5-98 – DREAM – I was working in an office. I looked at the clock. It was 11 am. on 12/24/98. Everyone had gone home without saying goodbye. I decided I may as well go home too. I went to the room where all the coats were kept. I saw six 1999 calendars laying there. Five of them were rolled, twisted, and crumpled. I decided to take five of them so I’d have one in every room of my house, but left the undamaged one there. I did this mediation and dreaming special for the West Coast. However, other symbols came in which might not be strictly for that area. 1-26-99 – DREAMS/VISIONS This is strictly for the West Coast. Others needn’t worry, but should send light to the situation if you can. I would ask that everyone pass this along to anyone you know on the West Coast. Last night, I had 6 identical dreams In the dream, I was staring at a control panel of indicators, buttons, and charts about disasters, especially earthquakes. When the earthquake hit, even the indicator that said ‘earthquake’ shook violently. The fact that I had the dream 6 times is VERY important. That means it’s highly likely to happen. After I woke up this morning, I had a series of at least a dozen visions. Each one was about the types of quake disaster that is going to occur. In one, a tectonic plate dropped slightly. In the next, the plate dropped and quivered, and what looked like solid rock, turned to gravel and rolled around. In another one, the tectonic plates turned on edge like this: /////. In another one, I saw cars on top of roadways, raise up in the air 50 feet or more. In another, everything got all jumbled up like jackstraws. I was told that there will not only be a lot of damage, but many deaths. When the earthquakes hit, there will also be tidal waves which will kill many more people along the coastline. For some reason, there is also going to be heavy cross winds which will cause damage to anything airborne at the time. Let me tell you this also. Many people have been getting warnings from spirit to leave, and you haven’t listened. Those of you who have gotten the warnings know who you are. NOW is the time to heed the warnings while there is still time. Not all types of quakes will hit the same place. These quakes will happen all along the west coast. A BIG shift is coming. Watch the little quakes now. That’s where the indicators will show where the big ones are going to hit. We already know that Los Angeles will be one place. Little quakes are good. The are pressure relievers. It would be worse if there were none. Also be aware that 7 volcanoes are going to go off all at once also. They will be devastating as well. These volcanoes are all linked underneath the surface of the earth. These also will be along the West Coast. I already know that many people will hide their heads and not heed the warnings. I was shown that too, but those of you who have the awareness will know that this is the time to go. You have 6 weeks to make the move. Make it less if you can. #1 – I saw a man in a beige trench coat take a big step to the left over a sinking sidewalk plate. #2 – I saw the same man in a beige coat take a step forward and to the right over the same sinking sidewalk plate, which was now deeper and the concrete had turned to shifting sand and gravel. #5 – VOICE – ZUCKO – (ZUKO) I saw a huge land mass rise over 50 feet with a car balanced on top of it. #6 – VISION – I saw a full drawer of kitchen utensils slamming shut and all the utensils were jammed every which way out of alignment at the front of the drawer. #10 – I could hear rock and roll music playing. A voice said, “Take the music away from the yard.” I saw a stick raise up a whole pile of plates in a sink. All were tilted ////. #12 – I saw three men bend over way down, hiding their heads. Then I saw three other men with dark hair and dark moustaches. A voice said, “If you don’t want to! then “If you don’t have to!” I assumed the sentences belonged to each type of men. #13 – I saw like a pit forming in sand. It was circular. A voice said, “Can Arizona offer any darkening?” This was a 5 pointed star but with rounded ends. 8-26-99 – EPIC TRAVELING DREAM – I and other people were gathering from many places. We were complaining loudly about how far we had to go to where we were. We looked at a map and I pointed out that there was no shortcut. Everyone of us had to come through Kiel, WI and on the map it was a big circle and I saw a white Pegasus on the circle and I pointed out on the map that we all had to go around it to get to where we were. We all got on a bus then and continued East through the city. We were a strange looking crew. One of the teen kids needed to sleep and he sat on the floor with his head on my knee. He had weird stuff in his hair like hay and oatmeal flakes or something. We had to cross a great river then on a bridge that was oddly cross shaped but the river was so high there was water on the bridge and the water came up halfway in the bus. It was so deep the bus was floating. I saw a red and blue balloon floating on the water, then saw that some pranksters had stretched two balloons tightly across the bridge which we had to duck under or be decapitated. Our bus driver went out into the water at this point and disappeared. The bus turned into a car as we continued and the water wasn’t quite so deep so we were now walking the car and gradually the car faded and we were now dancing our way towards the end of the bridge. We went up some steps about 7 and tap danced rhythmically up the steps and were now again on dry land. We were still a weird bunch of people. I helped make a blue dress for a girl, cutting off a large portion of the hem to shorten it. All this while every time we changed patterns of the people in rows of 2 or 3 but one behind another, so we were always in a 2 or 3 group but together equalling 5. I was trying to figure out if it meant something. We continued dancing on up the path and I’ve lost the end… I don’t know where we went. 12-8-99 – NOTE: I thought I knew what dreams were until I had this one. In this dream, I woke up and started writing in my dream journal five different times, thinking I was awake, only to discover from some clue that I was still dreaming. People came to visit me at this house where I live now, and I thought I was awake and started telling them about how many levels of dreams I had been in and how freaked out I was, and here I was still dreaming. Hah! How do I know I’m really awake now????? I met people who said they loved me… one guy came to the door I hadn’t seen in a long time… he had no facial hair… one eye (his right) was always squinty… he had no nose except like a drawing of one… and his lips were like kissing a squishy plastic doll… and I know I’ve seen him numerous times before… and he said he loved me and would return after he took his mother somewhere. I also knew her from other dreams. Then I went back to writing in my dream journal, thinking I was awake and discovered that I wasn’t because I went up a stairway that doesn’t exist here and when I turned around to go back down, the stairs had already changed to a different direction. I freaked out, realizing I was still sleeping and went to go up the stairs and realized that going up the stairs would take me further into the dream and then I’d really be lost, so I stood on the landing of this stairway, wanting to go down the steps I had come up on which were now behind a fake wall, which I knew was fake, and refusing to go down the created stairs which were available, or go up the stairs even though there was a window there but water had seeped in on the stairway carpet and it was wet. Even where I stood ice crystals were forming on the carpet and it was slippery, but I refused to go either direction. Finally, the fake wall disappeared and I scurried back down the stairs, and then thought I was awake because the doorbell rang and someone else came to the door whom I know in the physical. She left and I went out on the porch. There, two of my cats were making love. This was a disgusting scene because it wasn’t normal…and the female cat would end up with a huge hole in her back that was sloppy wet. Then other cats started doing it, so I pushed them all aside feeling disgusted and went back into the house to finally write in my dream journal. I had to go through a hallway which had a wooden bench, a couch, and a yellow chair with only the left arm on it which was black wrought iron. I went through the next door into the house and found the matching yellow chair with only a right wrought iron arm on it. Inside the house, which was more like an apartment building, there were toy trains on the floor with the tracks all apart and the train cars laying on their sides. I stopped to pick them up and move other toys over so people wouldn’t step on them. Other people came along with whom I had loving reunions in the scenes. I went back to write in my dream journal. As soon as I did, another friend came to the door whom I know well in the physical and who is interested in my dreams. So, I started talking to him about how I had been five levels deep in my dreams and he was so excited because he had never known anyone to be five levels deep before. (Mind you…I’m still dreaming this. 🙂 ) So, I started telling him the story of my dream, all the way from the beginning which I haven’t even touched on here yet, and he was so excited. Finally, his wife came to fetch him and I went back to writing in my journal. Now I wake up again, thinking I’m really awake this time. hahahaha. No such luck, I just think I am because I’m again writing my dream in the journal… only it’s longer this time. 12-20-99 – DREAM – I worked at a large factory in the office. I lived in a huge apartment building with other people. I came home from work and found a young man dressed all in white standing facing the window. He was keeping score on what was going on out on the street. The people were playing some kind of game and he was keeping track of it. I thought I could probably do it easier with a calculator, but he was doing it by moving five little white rings back and forth. I watched him a bit, but I had visitors, so I had to talk to them. Two women came in and I was introduced to the young dark haired woman. I was told her name was Jane Twyman and she had written many books, and I was intrigued and wondered why I had never heard of her before. Her books were about metaphysics and I wanted to read them. I planned to get them as soon as I could. The older woman then said she had a business she wanted to sell and she wanted me to have the first opportunity to buy it. We went east on Greenfield Ave. just a few feet … we seemed to be on 70th and Greenfield where A-C was. Right on the street, set back just a few feet was a country-western bar. It was decorated with all blue lights and people stood at the bar and chatted and were having a good time. She said I could have it for only $500 down. I told her I would have to think about it, but knew that this was the bargain of a lifetime because it was a good business and the income from it would pay for the price of the business, whatever it was. It was right in front of A-C where lots of people worked and the traffic would be really good. I then went back to the apartment and had to go to the bathroom. I had three bathrooms, but two of them were being remodeled and the toilets were torn out of them. I was going to use the good bathroom, but the man in white was using it when I got there. I went out into the hall to go to another apartment, but they were using their bathroom too, so I had to come back home and wait until I could use my own bathroom. When I got there, I found that the man in white was remodeling my apartment and had taken the plaster off of the edge of the wall where it went down the hallway and saw that the wall was bowed out where he pointed at it. I told him he’d better not plan to take all the plaster off the walls because they were very rough. I told him the job would be endless and he laughed. He planned to replaster and paint the apartment white. I had to change clothes and he almost caught me naked, but I had my green and white robe there and I grabbed it and held it in front of me. We were both laughing. I went to work again then, and there were hundreds of people there. I was still thinking about the country-western bar and whether or not I should buy it. I had a feeling that the man dressed in white was a good business man and thought maybe I should ask his opinion but I didn’t really know him well. So, I asked one of the other women about him and she said she knew him and told me that he was a really fast driver. I thought then that if I ever got into a car with him, I would insist to drive it myself. I had a huge bottle of red wine in my office… seemed like it was larger than a gallon and I decided to take it with me. I had a locker down in the basement and decided I would put it in my locker rather than take it home. I went down to the basement and the farther down the hall I went towards the elevator, the darker it got because the lights were out. Someone was following me down the hall and I started to get scared because it was getting darker and darker the farther I went. I finally stopped and let the person go by. It turned out to be a woman and she got on the elevator. The locker room door was right next to the elevator. I opened the door and entered it. It was brightly lit and hundreds of women were in there, sitting around waiting for job interviews it seemed. People would look right at me and talk and I would think they were talking to me, but they really weren’t… they were talking to the person next to them… just looking at me walk by with my huge jug of red wine. As I walked along the hallway where all these people were sitting, I didn’t talk to anyone… my mind was full of thoughts about the country-western bar and whether or not I wanted to buy it… and whether I should ask the man in white for business advice. I hadn’t gotten to my locker yet either. I just kept walking and thinking until I woke up. Hermes’ roman name Mercury is not just a name, but also an element. Mercury is known as quicksilver, because it flows easily, and it’s silvery. This is all because Hermes was such a quick god. Olympus now is the root word used in the Olympic Games and the Olympic Mountains. The Olympic Games are a competition that takes place every four years where the world’s best athletes compete against one another. The Olympic Mountains are mountains on the Olympic Peninsula in the state of Washington. In the ceremony, the man in the red cape made broad sweeping arm gestures which were accompanied by sound of perhaps a trumpet or something that sounded like a trumpet. Each arm movement had it’s own musical tone. Only the bottom two cards were sounded in this particular ceremony. The one on the left corner had three arm movements and three sounds. The one on the right had two arm movements and two sounds. One could assume from that that the other cards had arm movements and sound also, starting with nine on the upper left, ending with the two on the bottom right. There was no card in the number one position. After the ceremony, I was talking in a quiet conversation with another female teacher and kinda choked on a word and made a sound that ended with a ‘isht’ sound, then continued the sentence. Afterwards, I discovered that one of the male teachers had tape recorded this whole thing, the ceremony, plus my conversation and intended to give it to a radio broadcast station. He was telling others that I had said a ‘bad’ word ending in ‘isht’ perhaps there is such a word in a foreign language. However, I had not said a word, only cleared my throat and I became irate that he was going to do this terrible deed to defame me. So, I went into the classroom where he sat surrounded by other male teachers. I confronted him and demanded that he give me the audio tape with my voice on it. I was very assertive and said, “Give me the tape NOW!” His face blanched white when he knew that I had heard what he had done. I held out my hand to receive the tape, and he took one of the five audio tapes he held in one hand and gave it to me. I then went into another room on the first level to change back into my street clothes. There was a pass-through window and my music teacher from high school was standing on the other side of it. (I note here that he played the trumpet in a band and was pretty famous in our home town. He also led a marching band and was the drum major for it. Perhaps he was the man in the cape in the ceremony.) I touched his shoulder so he knew I was standing there, and thanked him for standing up for me. He smiled in acknowledgement, but then when I was changing clothes, he tried to watch, so I had to hide so he wouldn’t see me without my outer garments on. I was with my wife and child at a hospital in San Francisco. The building was right at the edge of the ocean. I walked outside onto a dock or wharf over the water. There were many, many Navy ships all over the sea. I was frightened, a war was about to happen. I looked up and saw five airplanes very high up, flying in a “V” formation. The lead airplane had a huge bomb dangling below it. I thought it was a nuclear bomb. I ran for the hospital door, just as the bomb was dropped. I glanced back and saw all the Navy ships going in reverse over the horizon. I rejoined my family. We and the others in the hospital looked out the windows and saw great winds blowing back and forth, carrying debris along with it. The brick walls of the hospital bowed in under the pressure. Then we saw a gigantic tidal wave coming right toward us. The wave broke all of the windows, and a dead boy fell in. But instead of water, a green, jelly-like substance came in through the windows. Roberta, the editor of the Dream Network Journal, told me a dream of three tidal waves striking the shore. The foam from the last wave went up into the sky and formed geometric patterns. She saw three gigantic human figures on the horizon of the sea. They looked like Gods/Goddesses. I haven’t heard of any standing tidal wave dreams, but I would like to hear about them. My guess is that one of the meanings is that the waves are vibrational signals from the spirit or collective unconscious realm. Thus, a tidal wave is a BIG message. They are destructive when they hit the land, meaning metaphorically that our belief-houses will be swept away. We will then build new ones, of course. There are lots and lots of flooding, raining and other water dreams. One connection to keep in mind is that the Age of Pisces (Noah) that is near its end, and the Age of Aquarius, the Water Bearer, is near. They are both “water” signs. This seems to appear in dreams such as lakes drying up with fish flopping out of the water, and dreams of drinking or receiving fresh drinking water. In 1991, Joe Mason heard a voice say: 4-14-91 – Your writing is sacred to me now. – They’re number five. The five-pointed star inside the pattern, had two points facing North. According to Blavatsky, such a star, with two points, or horns, pointing upward, is an esoteric symbol of the Kali-Yuga time cycle, also known as the Age of Iron. In any case the American tradition is not unique (although it is certainly “characteristic”–that is, autochthonous). It appears rather that all known versions of these symbols and myths are adaptations of a single nonhistorical event woven into the tissue of the human being. The number five, which is at the basis of the Precolumbian cosmogony–the four cardinal points and the center or quintessence–is, by definition, the numeral of man, the microcosm for Western symbolism, as well as the place of the Emperor (as mediator, governor, and administrator) in Chinese tradition. And this human being, image of the vertical, is dual, existing entirely between two poles, the highest and the lowest, the heavenly and the earthly, the divine and the human, the vertical and the horizontal, the sacred and the profane–which, like any pair of opposites that only seem to be contradictory, must have a common, unitary point at which they join. This 245, for me, has always represented the two tritone positions either side of the mirror. This position is a 4.5 within the major scale. It also replicated itself along the 45 degree angle. The 245 also breaks down to an 11, and it is the 11th overtone either side of the mirror that contains the same invisible like axis at a tritone interval away from the fundamental tone. Your Integrated Circuit is spot on!! That is how we should learn to build any machines in the future. A machine must contain a tonal fountain, have components at 45 degree angles, that are tuned to the star of David symbol that mirroring throws up. The F A C# is one of the triangles that combines to make a star of David symbol. each of the two stars. principle within Phi. That implies that the same process is evident on the mirror side of music scales and numbers. as the consciousness aspect within the Form. Thanks for the coincidence anyway! What now follows is taken from a website put up by Wiccans or Modern White Witches. This movement is yet another offshoot of Freemasonry, in that it was fathered by a fellow named Gerald Gardner (pic left), a disciple of Aleister Crowley. I again caution the reader not to involve themselves in any of these demonic practices. However, it is good to know one’s enemy, and on occassion, one might have the opportunity for Dakwah, in which case such knowledge will aid the slave of Allah. The potency and associations of the pentagram have evolved throughout history. Today it is an ubiquitous symbol of neo-pagans with muh depth of magickal and symbolic meaning. * To the Gnostics, the pentagram was the ‘Blazing Star’. * In Egypt, it was a symbol of the ‘underground womb’. became a symbol of ‘evil’ and was called the Witch’s Foot. the five planets and the moon at the center point – the genitalia. an inverted pentagram with the goat’s head of Baphomet. + We perceive five stages or initiations in our lives – e.g..
Hermetic/Tantric philosophy of associativity – “As above, so below”. a/b = b/a+b = a+b/a+2b = a+2b/2a+3b = 2a+3b/3a+5b ….etc. order of density – spirit (or aether). fire, air, water, earth. jewelry – pendant, ring, earrings, buckle, etc…. cross, the Thor’s hammer, and so on. a little … well, general. writers and thinkers is Dante’s treatment of Virgil. East). Their use was, of course, point-up. since it is five capital ‘A’ figures interlaced. that to Heaven’s courteous Queen once came from her Child. banishing/grounding pentagram that aren’t involved in Satanism at all. and significances in different cultures — much like the cross. look in the computer under “Tantrik art” or “art Tantrik”. must wrestle with the Xtian notion that it’s “evil” to Just Be Themselves. unspoken) “that’s *tacky! *” will usually take care of the “problem”. Leonardo’s famous sketch does *not* contain a pentagram of any description. way is “evil” while the other is not is up to one’s own perception. one’s own means and by that they tend to have been corrupted. open Compasses as seen in Freemasonry’s standard logo. This is intentional. — quite a treat for a Goddess-worshipper like me. Brotherly Love, and Pity — interestingly, courage is not included). > symbolize a goat’s head, but I guess, this is not all.